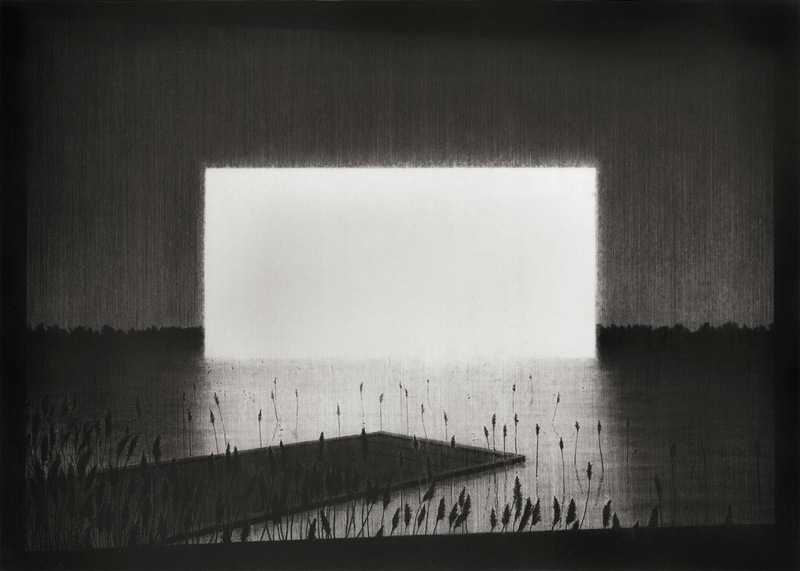 These charcoal drawings by London-based artist Reece Jones are truly stunning. Having been recently exposed to the challenges of drawing with charcoal via Daniela, I have a newfound appreciation for the medium and these are exemplary examples of it at its best. Presently, Jones has an exhibit at All Visual Arts in London titled Control Test. These natural landscapes all include a large rectangle of light a la James Turrell or Doug Wheeler. 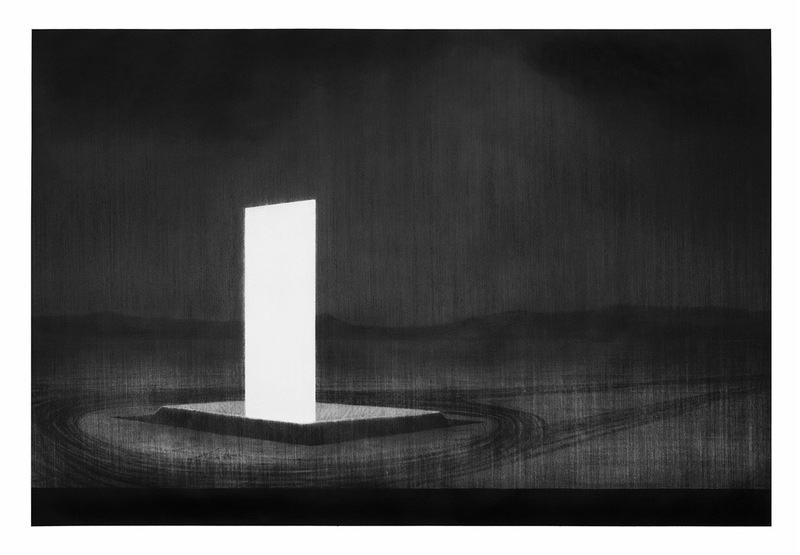 The contrast of the natural forms and the geometric unnatural lightform is very striking, from shape to the glowing white amidst the generally dark and heavy charcoal. You can see more of Reece Jones’ work here and here, or visit the London exhibit up through April 21, 2012. The bottom four works are actually watercolor and polymer varnish, not charcoal, but lovely as well.